The Alphastrut® aluminium raised access flooring and cable management system is perfect for environments where cleanliness, corrosion, strength, particulate shedding and aesthetics are key considerations. 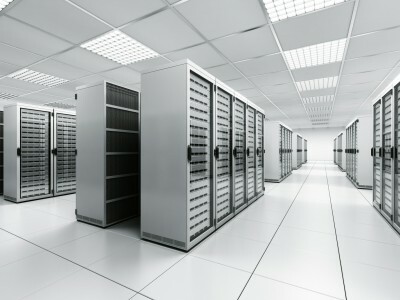 Datacentres and clean rooms have issues with galvanised products shedding particulates into the atmosphere and having an adverse effect on the performance of filtration systems and sensitive equipment. Aluminium does not pose this problem as it is non-shedding, making Alphastrut a particularly effective option for both flooring and overhead service support grids in datacentre and clean room builds. The Alphastrut raised access floor grid system is strong enough to cope with even the largest servers and can be designed to handle the specific loads and equipment requirements of your project, eliminating the need for sub-floor support plinths. It can also be set at a height that will allow for maximum cable separation and multi-tier cable ladder runs in the sub-floor space, along with the ducts needed for an effective and energy-efficient cooling system. Alphastrut uses patent pending innovations to create a system with exceptional load-bearing properties, so the flooring grid needs fewer legs than traditional alternatives, helping to make the installation and maintenance of cabling a simpler job. Similarly, when used as an overhead grid, the Alphastrut system can be configured to support power and data cabling, HVAC ducts, a fire suppression system and a drop ceiling. Read the table below to discover more about the benefits of the Alphastrut system or contact us for information about our full design and supply service.